MSP 501 winner Digital Boardwalk struggled to show its customers the value in cybersecurity investments, so it went back to its business-model drawing board. Every managed service provider (MSP) knows that there’s big money in security. A full 73 percent of organizations that earned a place on the Channel Futures 2018 MSP 501 ranking list and survey – full results to be published this fall – say that security is their biggest growth area for 2018. The pot of gold is within reach if MSPs can just find a way to sell managed security solutions to their customers. Many customers, especially SMB organizations, struggle to justify a big investment in preventing a security risk they never really see. Security is like insurance. You never need it until you need it, and it can be hard seeing the value in protecting yourself against something that might never happen. It turns out that customers aren’t the only ones reluctant to invest in uncertain returns. On average, this year’s MSP 501 winners report employing about one salesperson for every five technical employees. Stretched sales teams, which are already facing an uphill battle selling cybersecurity, now have to figure out how to leverage the resources at their disposal to bring in revenue. It’s time to get creative. Last year, Pensacola-based MSP Digital Boardwalk, which ranked No. 322 on this year’s MSP 501, took a hard look at its service offerings and existing clientele. 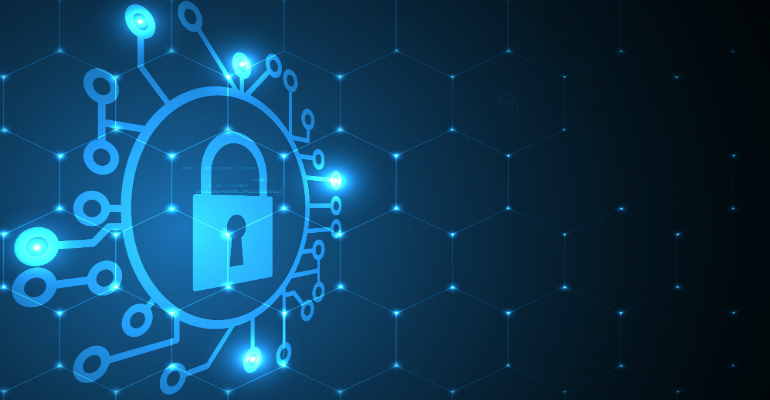 CEO Tim Shoop told Channel Futures that the intensifying threat landscape presented a lucrative opportunity in cybersecurity, but the organization was having a difficult time selling their customers on the need to invest in cyberdefense. “Many businesses never budgeted for all the layers of security they needed to truly stay protected,” Shoop told us. And as we all know, if it isn’t in the budget, odds are slim that the line item will be approved. At the same time, Digital Boardwalk embarked on an examination of its tiered service model. The MSP was struggling to move customers from its lowest-tier plan up to its middle- and high-tier offerings. It needed, therefore, to accomplish two goals: Up-sell customers on security, and move clients into its highest service tiers. Digital Boardwalk made two major changes to its middle-tier plan to pave the way to these goals. First, it reduced the price of the plan by 17 percent. Because the cost of the offering is much closer to what lower-tier customers are paying, the higher price tag doesn’t cause as much sticker shock. Second, it bundled some cybersecurity solutions into the price of the plan rather than charge for them separately. “All of this extra value and protection encouraged many existing customers to upgrade their service level and drove a significantly higher number of new business [customers] to subscribe to higher service levels on day one,” Shoop said. The new mid-tier plan offered customers four cybersecurity solutions built into the lowered price: endpoint security and malware protection; internet security and DNS protection; email security and spam filtering; and client-access to Digital Boardwalk’s password-management platform. These are all pretty basic security services many MSPs offer to customers, and on their faces, they may not seem to add much to the bottom line. But while the price for its middle-tier plan dropped by 17 percent, the number of upgraded existing clients and new customers more than made up for it. In fact, Shoop says it was the single biggest business decision leading to growth that Digital Boardwalk made in 2017. The move increased its revenue and profit, which allowed for hiring new support staff and investing in customer service. We speak in the channel of successful MSPs moving away from the traditional model of competing on price and instead toward competing on value. While Digital Boardwalk slashed its prices, it presented the new plan to customers as getting better value for their money. Managed security does indeed provide ample opportunities for MSPs, if only they can find a way to scale and build it into their service offerings. Digital Boardwalk’s approach might not work for every MSP, but service providers can take inspiration from its strategy.